All units include serial interfaces for displaying data from other units including Engine Control Modules (ECM) like the HOLLEY Commander 950 and ODBII compatible devices. Multiple alarms and data logging to PC/Laptop or PDA's are just some of the many features. Create a virtual dashboard using our PC application to arrange and configure your display screens for custom instrumentation. If your dash is tight on space - check out our multi-functional units which offer up to 16 features in the space of one instrument. 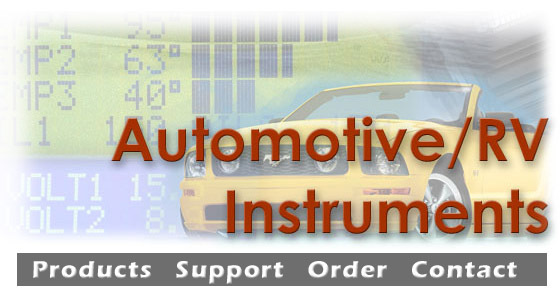 Click on the pictures to get more information on our outstanding line of gauges and switches. We also offer custom design and configuration to fit your application.